Parish of Abdie – The Fife Post………..for genealogy and historical information. ABDIE, a parish, in the district of Cupar, county of Fife, 2¼ miles (S. S. E.) from Newburgh; including the villages of Lindores and Grange of Lindores, and the suburb of Mount-Pleasant. This place formed part of the lands of Macduff, Thane of Fife. The church, a plain substantial edifice, was erected in 1827, and is adapted for nearly 600 persons. The name of this parish, Abdie or Ebtie, is supposed to be the Gaelic word abtaob signifying waterside. The ancient name of the parish was Lindores, which is still the name of the principal village in it, a place of great antiquity. The church of Abdie was always reckoned to have belonged to the abbey of Lindores. In 1633, the whole of the parish of Newburgh was disjoined from Abdie. The old church, which is now in ruins, may be traced to the beginning of the fifteenth century. There are also the ruins of old Lindores castle. The present church was built in 1827. The parish contains the Loch of Lindores. A stream which flows from it turns several mills including a saw mill, a bone mill, and corn and barley mills. Grain, potatoes, turnips, and hay are raised. Grain and potatoes are exported. 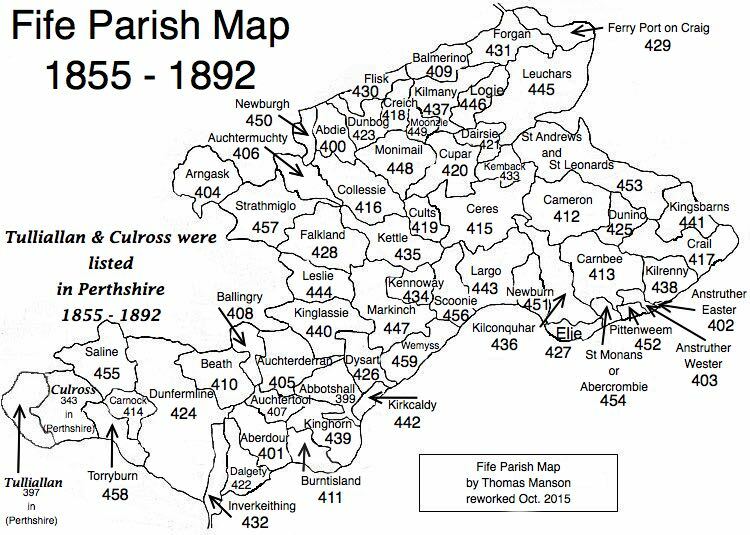 The population of the parish in 1755 was 822, in 1801 was 725, and in 1831 was 870. The school in the parish is attended by an average of 40 children. Several children near the schools at Newburgh, Dunbog, and Collessie attend there. The above extract is from the account written in 1836.